How would you like to earn some awesome amounts of money by simply using an app? Yes you heard me right! I have been checking out a new method called Smart Cash App! You ask What is Smart Cash app? That is what I want to share with you in this review that I just finished ! Being in the online space and helping people get started earning passive income online has been great and I review products and services that make claims to help people make money online! I have only found a few products that I would recommend to my readers, and one of those is the top ranked Free platform for passive income that I actually used to get started online! So don’t expect me to vomit untruths to try to sell you anything! My readers are far too important than that to me! In fact you won’t find any affiliate links for commission on this review ! Instead what I am here to do is either tell you about a great new product that can help you along your journey, or warn you against scams ! I invite you to grab your favorite beverage and kick back while we talk about Smart Cash App, and let you decide if you will be smart for getting it! So What is Smart Cash App? This crazy new app is supposed to help you make money online and even claims to make money to the tune of $1595 per day! Is this app for real or is it possible that it;s just another low quality scam? I’ve been doing reviews of online offers for quite a while, and during that time I have done reviews on several apps that are supposed to transform you to the Lamborghini lifestyle in just days and with a few clicks ! This was a review that was requested by one of my readers and as a courtesy, I agreed to do it. I knew going in that if I actually for an app that makes the kind of money advertised that it would be the first one I’ve reviewed to ever deliver on it’;s promises! Let’s see what’s going on with Smart Cash app ! My first opinion of Smart Cash App! Time for some honesty here folks! Almost every review I have ever done on these types of products and services that help make money online while offering up unrealistic claims of big money, have fallen hard! There are some reasons that you will easily understand! Making money online and earning passive income is a very real way to break the chains of the nine to five rat race! But the unrealistic claims of riches make most of these products very much unbelievable! It starts with the sales video where this Mr. Fisher explains a little about the basics of how the app works and in the meantime peddles the idea that you can make $1595 in just 30 minutes and with 17 clicks! I’ve heard the 17 clicks thing many times before! Then there is the super secret mindset instilled into the prey that you have to keep this secret to yourself and not tell anyone because the offer they are giving away is for your eyes only! Give me a break! This sounds like the claims and promises of other app reviews I have done like AppCoiner and Viral Cash App! Add to that the fact that I’m always turned off by products and services that make these claims but are unwilling to explain exactly what you will be doing! Most people won’t even consider buying something when they don’t know what it is! That is the reason it’s a huge turn off for me ! Many of these products use the “Super Secret” terminology and don’t tell you what you are doing because they are targeting people who are desperate and need to make money quickly! I’m not down with taking advantage of people because of desperate situations! If the main product is so great, what’s the ridiculous up sells for? Pretty much a waste of time in my opinion! If you are interested in learning the proven path to passive income without dodging scams, I invite you to read the review of my #1 Rated Free platform for training, mentoring, and community support! And it’s the exact same training I used to get started online ! There is usually some level of truth involved with these products and Smart Cash App is one of those ! As far as whether it is a scam or not, I will leave up to you! Usually these types of products that specialize in showing you how to make money using an App have some level of value, but not what you might think. There are a few of these apps gigs that will allow you to make money, much the same way that you can take surveys to make money. The big issue for me is the amount of money that they lay out in their sales video or sales page. The amounts of money that they talk about might be possible in a perfect world, but I think you would agree that we do not live in a perfect world, to say the very least! When deciding whether something is a scam it is important not to just call it a scam because you don’t know how it works or don’t believe it. That is the reason for honest reviews. Doing reviews is something that some people do just so that they can simply promote an affiliate program and make money. They do the reviews and then place an affiliate link in the review. These reviews are mostly not even reviews at all. They are all out positive reviews that are done regardless of the value. I do not promote these products and therefore there are no affiliate links, but rather a warning to proceed carefully! The products tend to always have a front end offer like Smart Cash App, and then bombard you with up sells that offer greater, faster progress, or an entirely different product that is along the same line. The big difference is that the price goes up and up from the main product. I always suggest that you try the front end product if there is any doubt at all! After all the front end product is usually a low cost product such as the $37 for Smart Cash App. Why I don’t recommend Smart Cash App is fairly simple! When the phrases like “Never before seen system”,” Highly confidential”m and “exclusive invitation are used it would lead you to think that it actually is something brand new. Then the claims of making as much as $1595 per day kick in and I instantly know that the likelihood of such a product having such success is slim to not going to happen! Webster’s dictionary defines a scam as a fraudulent or deceptive act or operation. Based on that definition, I would have to say that Smart Cash App is indeed a scam in my opinion! I will take this time to include that I didn’t purchase Smart Cash App. Experience and unrealistic claims of earnings make this a no brainer in my opinion! If you would like to see some other reviews I have done on various products, so that you can better understand the process and what I look for, you can check out some of the sample of reviews I have listed below. Can you make money with Smart Cash App? I feel certain that you can likely make some amount of money using Smart Cash App. The issue is that I can’t see where any of these apps based products have a chance of producing the kind of money that they claim. You can also make money with online surveys, but once again you won’t be able to make enough money to make it worth your time and effort! I have done several reviews on survey sites like the ones listed below. The best results I have ever had was with Survey Junkie and those results were less than $3 for 5 hours of solid work doing surveys. In my opinion surveys are as much a waste of time as the money making apps, and they are pretty much the same type of thing. If there is one piece of advice I can give you from experience, it would be to completely ignore any type of product that promises get-rich-quick results! In fact, don’t just ignore it but run away from it! 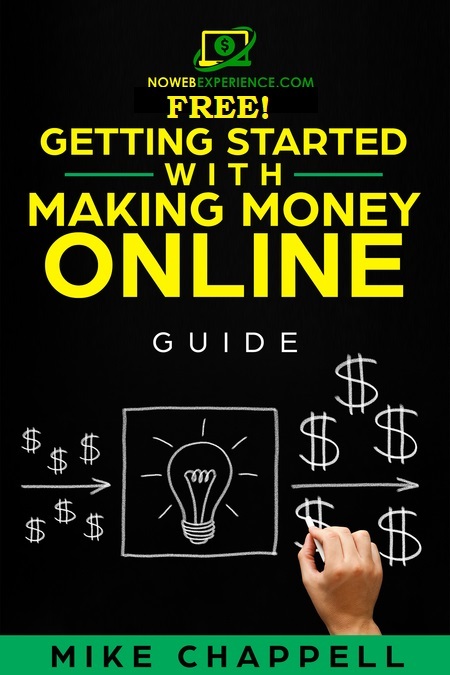 It is an absolute truth that you can make money online, but there is more to it than what cheap get-rich-quick schemes let you in on! Earning Passive Income with affiliate marketing is my preferred way of making money online. But it takes three things to be successful. Again, in the interest of honesty, if you don’t have the mindset that you are willing to invest these three things into growing your passive income, you will fail. The good news is that you don’t need any experience to get started! If you have the technical ability to use Facebookand make Facebook posts, you have all the web experience you need! When you couple that to the right mindset, you can build something very special! The reason time, effort and patience is important is because that is what it really takes to build a passive income that can re[place tour present income and beyond, and it’s the opposite of what is promised in the get-rich-quick scams! People push scams because most people want instant success, so by offering instant success scams they get the attention of people who either don’t have patience or are in a desperate situation! Earning passive income is a fantastic way to earn money online while helping other people ! I feel blessed and thankful that I found the training and community at Wealthy Affiliate ! When you do things the right way, you will be able to earn passive income from anywhere on Earth that you have an internet connection! The freedom and fulfillment is second to none! My favorite part of the entire process is that you put in the work on the front side and reap the benefits for a long time to come, completely on autopilot in many ways ! If YOU are interested in making money online the right way, I invite you to learn more about the exact way I started for FREE! There are low quality products and services and there are some that are actually pretty good, but if people don’t see what you are promoting, it doesn’t matter how honest and sincere you are! Traffic is the number one task for any online business! The products that claim that they will show you how to make huge amounts of money with no website, and secret free traffic sources are playing you! S.E.O. (Search engine optimization) done through a website or blog. If you actually get started making money online the right way, you will learn how to build and optimize your offers with free traffic through SEO (Search Engine Optimization) and earn passive income the right way! I would first like to thank you for taking the time out of your busy day to read my review of Smart Cash App! I have laid out the criteria I use to do reviews as well as the results and my opinion of what is involved with Smart Cash App. I think that there is a far better way to earn passive income online, and you can Learn to do that and get started for free with training, mentoring and a support community like no other with a free membership at Wealthy Affiliate ! If you decide that you want to start earning passive income, please be true to yourself and have the mindset going in that it will take a little time, effort and patience. If you can do that, you will have everything you need to earn an extra income and even replace your nine to five jobs with passive income online ! If you have any questions, comments, or suggestions I would appreciate it if you left them in the comments section below! Your feedback is the best tool I have for making sure I continue to offer help and value to my readers! Allow me to leave you with a question please! Have you ever tried one of the make money online products and quit because it wasn’t working? What product was it? Have a great day, and the very best of success to you! Previous Post:The Mass Income Machines Review- Really make $42K per Month? Next Post:Is Infinitii A Scam or Legit Way To Make $355 per day? WOW Mike thanks for the overview of Smart Cash! It’s so important for people like you to review these apps because you never know how many people have used it and it’s “get rich quick” promise. I definitely affiliate is the way to go, and from what I’ve read you do to! However it’s not so much a get rich quick scheme, more like a learning curve and you come out of it with genuine online skills that could benefit you in the future. Thank you for your comment and kind words Holly! Thank you for warning us about Smart Cash App, I had not heard of it before I read your article. Now I am well informed about it and you’ve done a great job in being thorough so we can make an informed decision regarding Smart Cash App as an opportunity or not. One thing that stood out for me was that you put the definition of a scam into your post. This makes it more real as one can then apply that definition to what you’ve informed us about the opportunity. I take these reviews very seriously! I am hesitant to conclude that something is a scam unless it is a low quality product with the Intent of deception to get you to buy. That is one reason that this review left me with the option for you to decide as well! First, l like the honestly and integrity in your review that you don’t place any affiliate links to your advantage while you’re reviewing another program. Back to Smart Cash App case, l agreed with you that making $1,595 per day with few clicks is just a gimmick. They try to lure into their sale funnel like most of the cases, and once you’re locked in, they will upsells with lot of high price products that claim you can generate more income faster. Further, l am curious about the secret of the free traffic. Any Web owner would knows how difficult is to get traffic to site unless you have plenty of budget to spend. Thank you for reviewing this crappy program – Smart Cash App, and hope you will continue to review all those faked programs out there. Thank you for your comment and very kind words Nax! Thanks for your review Mike. I agree with you that the way this app is marketed has all the hallmarks of a scam. I also agree affiliate marketing is the tried and true way to make money online, but it is no get rich quick scheme. You need to invest the time to build your online business and persist if you want to see success. If there are any questions or products that you would like to see reviewed , just let me know! All I ask is your patience if you would like for me to do a review for you. That stuff takes time to really try it out and get a good feel for it! Thanks a lot for the detailed review post on Smart Cash App. $1595 per day in just 30 minutes and with 17 clicks? Are they kidding? Immediately my inner man raised the red flag Mike. Yes as you rightly said in order to escape the 9-5 job people are searching for alternatives and many make money online programs take advantage of that need. It really hurt when people lose their hard earned money to scams. I personally lost a lot of money to scams. So people like you via your review posts are doing a great service. And saving people time, effort and money. Thanks Paul! I appreciate your comment and feedback! Hello Mike. Thank you for sharing this review of Smart Cash App. These creators of products have ways of brain washing their preys a to thinking making money online is very easy. This product is deceptive plus it will not be possible to earn a whopping sum of $1595 per day. I have said this before and I will continue to say it:::: I hate upsells! I really appreciate that you took the time to check out the review! If there are any other questions or things I can help you with, just let me know! I had heard of Smart Cash App before and was seriously considering it for an easy way to make money, but I just had a gut feeling that I should try and find some reviews first before I jump in. I don’t see why Smart Cash App and other programs like it always tend to have so many upsells and then they have sales videos which are vague and shrouded in secrecy like you said. I will definitely stay clear of this as it just isn’t my cup of tea. Thanks for sharing this. Hey thanks for chiming in with your feedback Brian! If you have any questions about this or any other review just let me know !